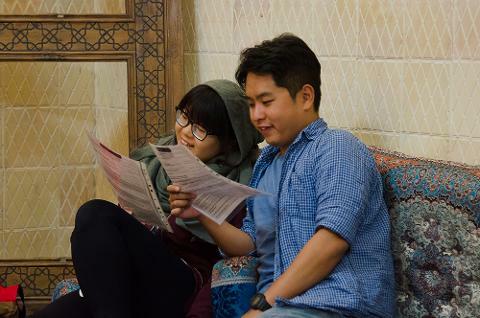 At this Traditional Persian Night, which is held in a cozy and traditional environment, we want to make you familiar with Iranian night gatherings and show you some of the customs associated with them. 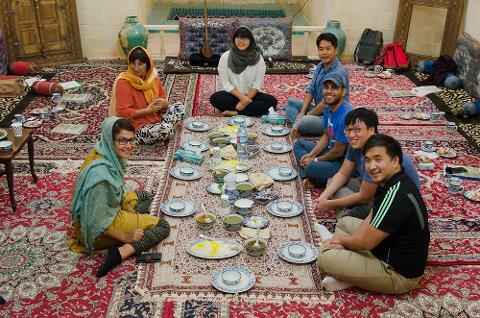 Shabneshini (Iranian Night Gathering) is one of Iran's long-standing traditions which has left many sweet and memorable memories for Iranians. 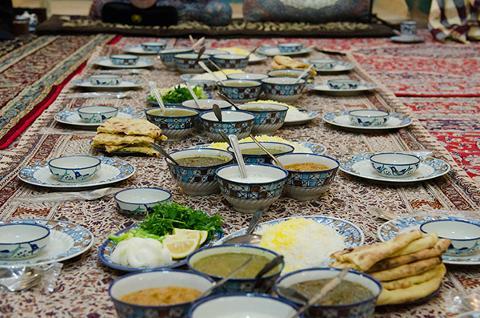 Iranian families’ night gatherings have certain customs that are a symbol of Iranians’ family reunion. 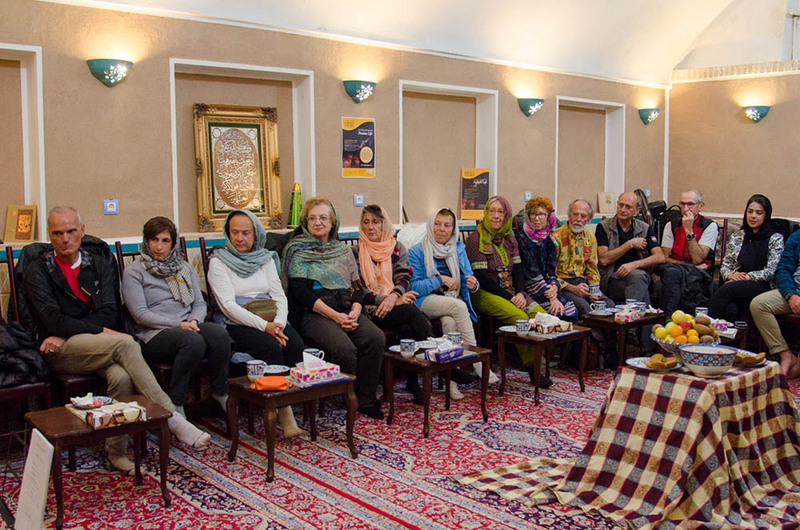 Some of the elements of Shabneshinis are Korsi (a type of low table with a heater underneath it, and blankets were thrown over it), natural snacks such as nuts and dried fruits, drinking tea, reading Ferdowsi’s Shahnameh and most importantly storytelling. 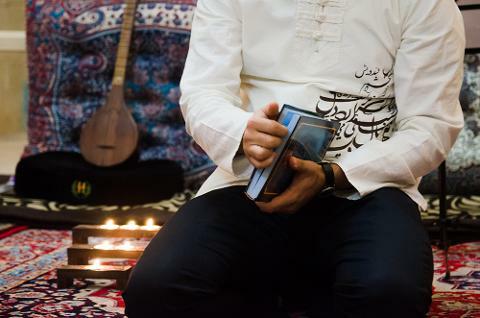 At this Traditional Persian Night, we want to make you familiar with this beautiful tradition and show you some of the customs associated with the Iranian night gathering. In fact, Traditional Persian Night tries to make you familiar with Persian culture, customs, traditions, literature, and music. On arrival, you are greeted with a healthy cold fresh traditional Persian drink. 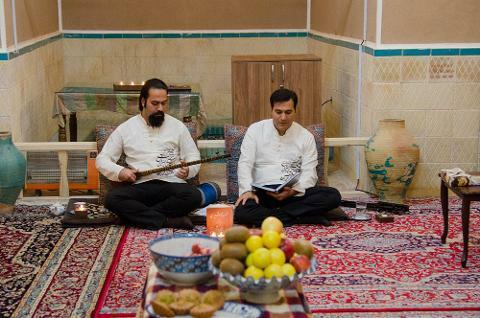 This three-hour entertainment begins with playing Persian classical music and you will be fascinated with the live Setar playing by one of the experienced and skilled musicians Afterward, you will enjoy hearing a very famous Persian love a story narrated, along with Persian music playing. 08:15 PM – 08:45 PM Serving fruits, tea, cake, etc. If you have difficulty sitting on the floor during performance and mealtime, please state in advance so that chairs can be provided. The ingredients of all of the dishes have been stated. In case you have allergies to any of these foods or food components, please let us know in advance to make necessary arrangements.